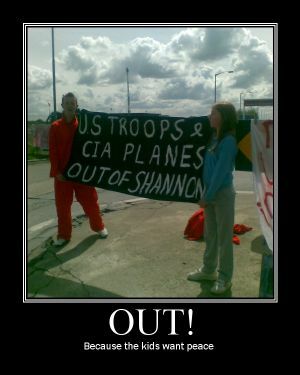 Every day the war machines roll through Shannon, as the innocent populations of Afghanistan, Iraq and elsewhere suffer the brutal consequences of neo-liberal occupation. 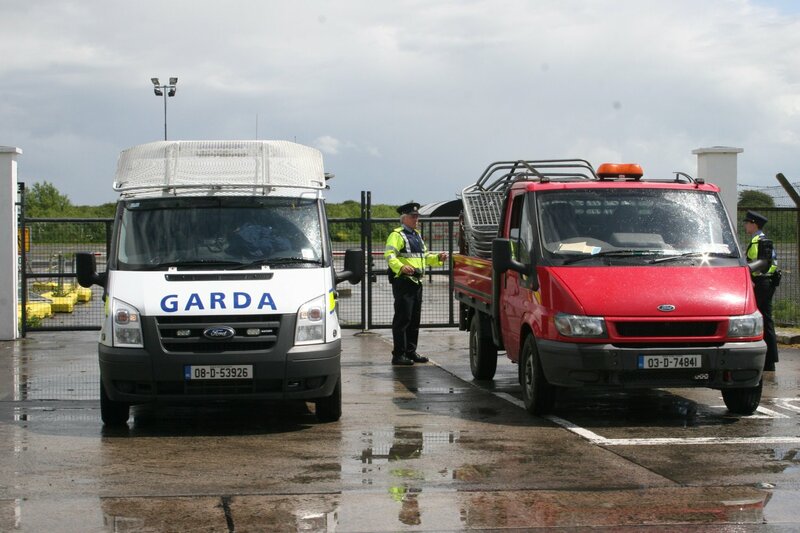 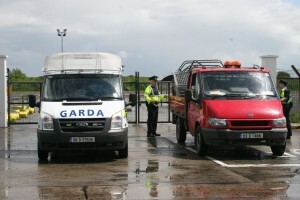 The Gardai react by mounting public displays of strength against half a dozen innocent protestors, while claiming to have no opinions or authority over the cargos and personnel passing through the airport. 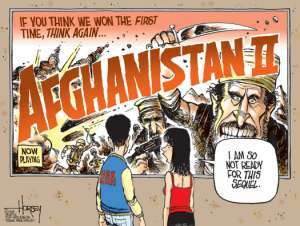 Afghanistan: Perpetual War for Perpetual Peace? 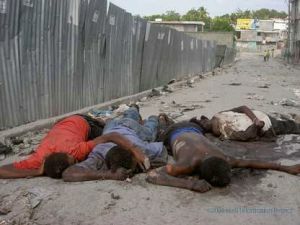 After more than three months' deliberation, President Barack Obama has finally decided to commit more than 30,000 US troops to the Afghan war. 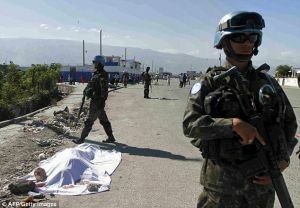 The ‘Afghan surge’ is to be fast tracked over the next six months with a large bulk of the troops arriving before Christmas. The deployment will cost approximately $1 million dollars per soldier, per year, some $30 billion overall. 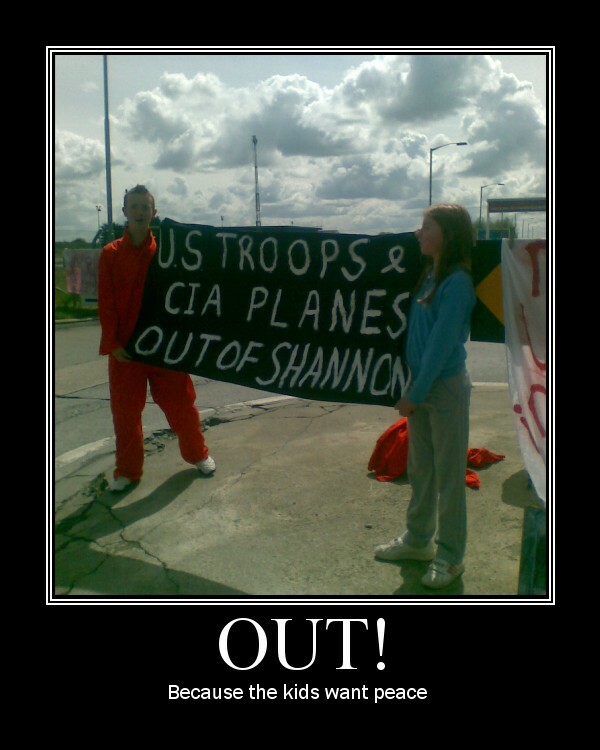 This price tag is on top of the considerable costs (running into the hundreds of billions of dollars) of keeping over 100,000 US soldiers ‘in-country’, while maintaining other US global military operations as well as the on-going fiasco in Iraq. The combined deployment of US troops in Iraq and Afghanistan is close to 250,000 service personnel, which is augmented by the greatest number of private military contractors/mercenaries ever seen (some 100,000 in Iraq alone).